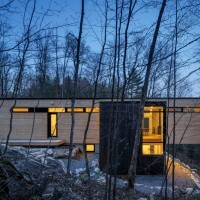 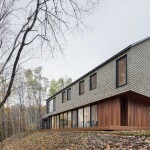 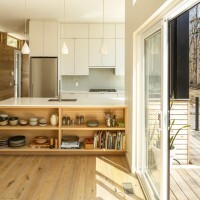 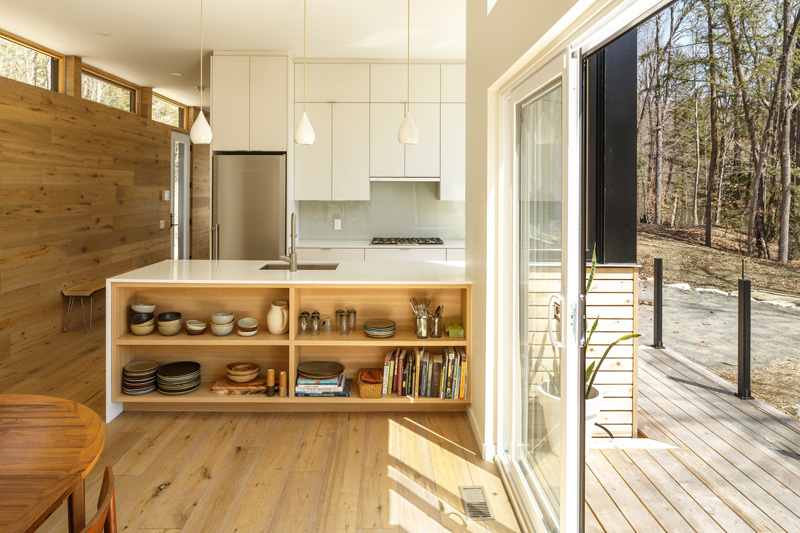 Christopher Simmonds Architect have designed a cottage surrounded by woodlands in Val-des-Monts, Quebec, Canada. 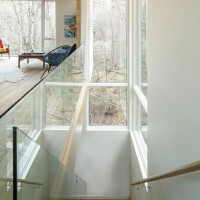 A family cottage in the Gatineau hills infused with Canadiana shifts its way over the edge of a cliff to command views of the adjacent lake. 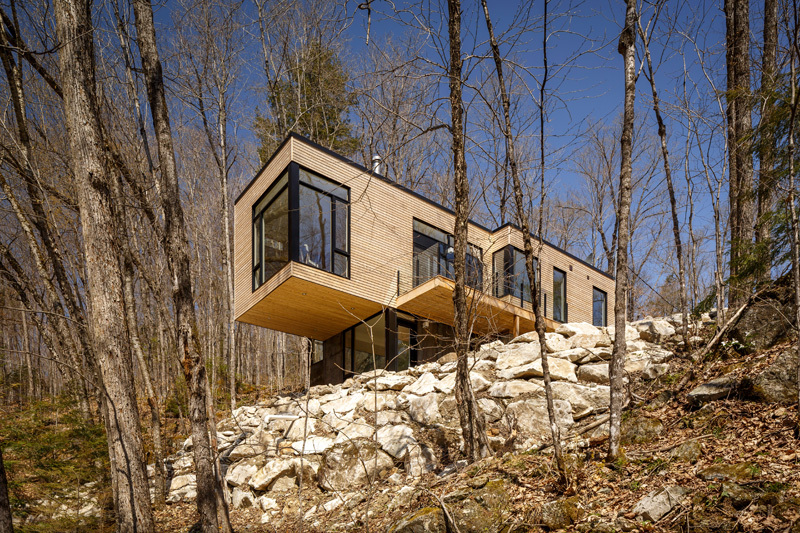 The retreat is gently embedded in the Canadian Shield; the sleeping quarters firmly set in the rock while the cantilevered family rooms slowly emerge from this stone base. 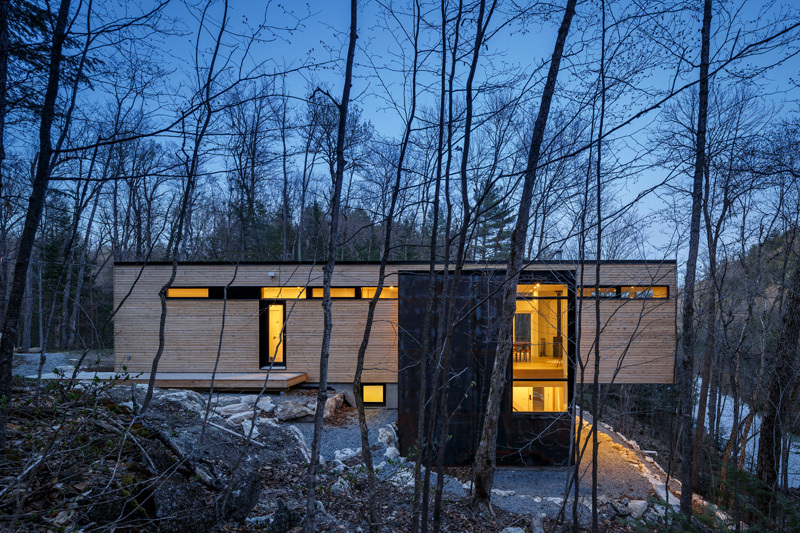 The modest entry visible from the road leads to a calculated, yet tranquil path entering from the forest-side of the house and moving through the space as it opens up onto the lakeside. 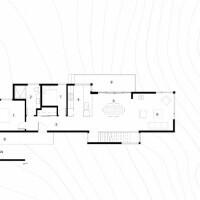 The house illustrates a warm approach to modernism; white oak boards wrap from wall to floor enhancing the elongated shape of the house and slabs of silver maple create the bathroom vanity. 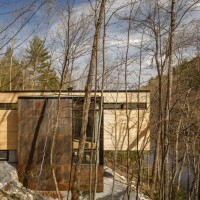 On the exterior, the cladding is composed of an open-joint eastern white cedar, while the stairwell is encased in steel; both are left unfinished to age with the elements. 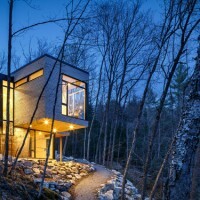 On the lower level, the dormitory style sleeping quarters are again embedded into the rock. 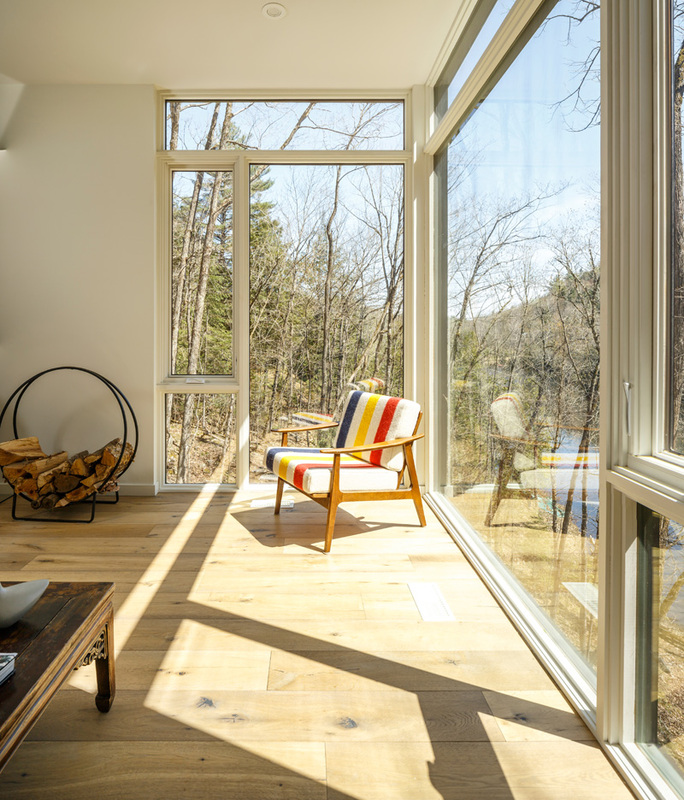 Access to the exterior is provided by a walkout from the lower level recreation room, allowing the family easy admittance into nature. 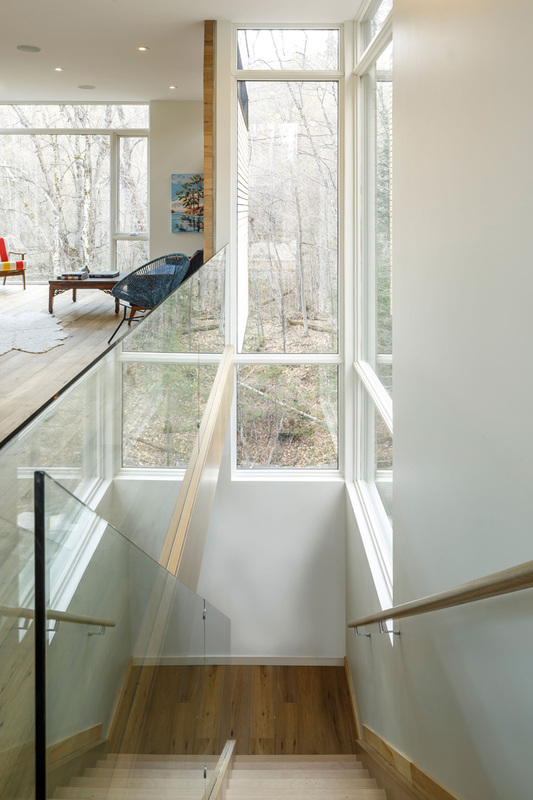 Natural cooling is provided by cool air rising from the lake, passing in through the lakeside openings and out through the clerestory windows on the forest elevation. 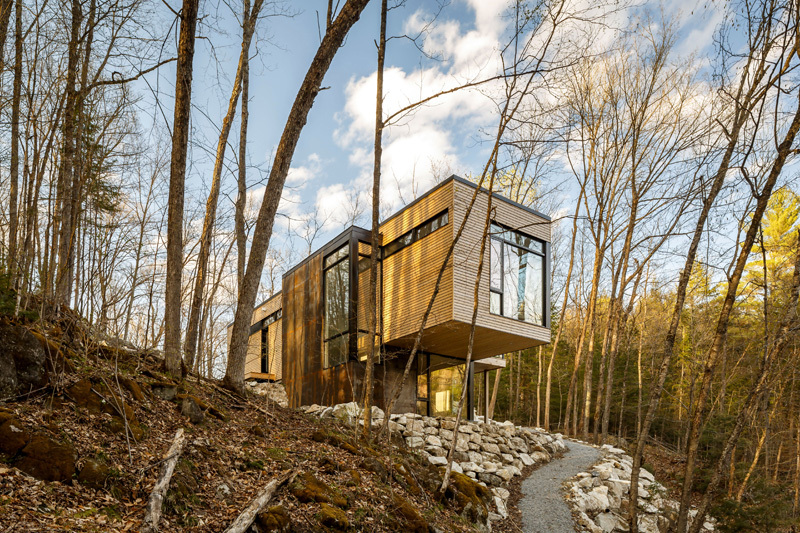 The expanse of windows engages the ephemeral foliage from the treetops to the forest floor. 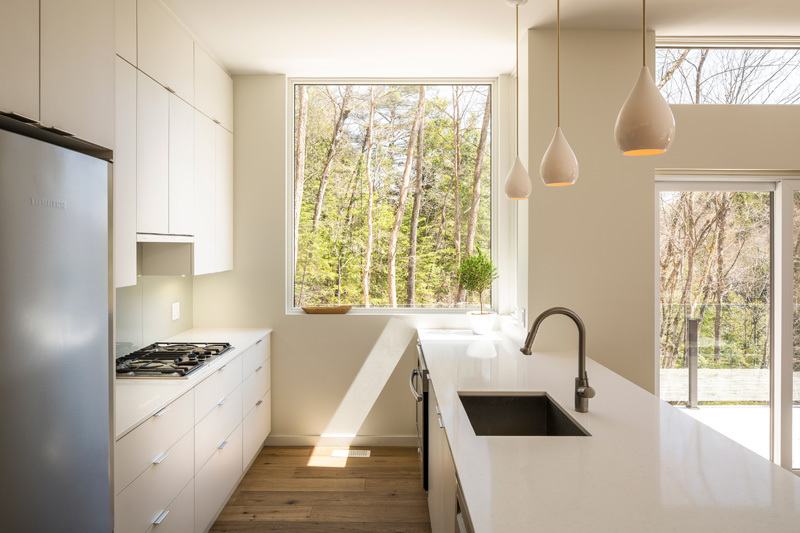 The softness and shadows of the filtered forest light fosters an intimate relationship between the exterior and the interior. 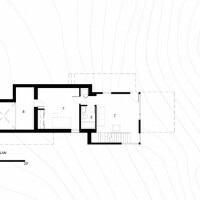 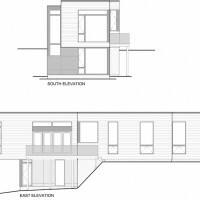 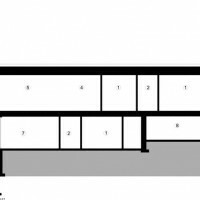 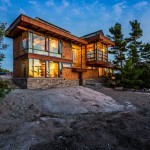 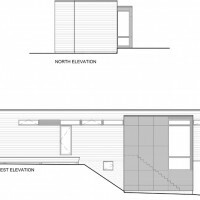 Architect: Christopher Simmonds Architect Inc.
Building Contractor: Timber Wolf Developments Inc.